Hungry Gap Productions are currently producing a brand-new exciting game show about all things vintage, retro, collectable and antique! The show will be hosted by Paul Martin. An antiques dealer, he has presented various BBC programmes including Flog It!, Trust Me, I’m a Dealer and the Countryfile diaries. Who are the show looking for? Do you love a car boot sale? Are you a regular at your local antiques or charity shop looking for a bargain? Do you want the chance to win up to £1000? 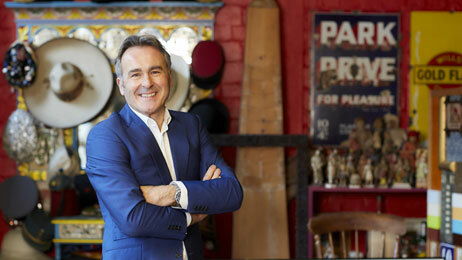 The show will put contestants’ knowledge, skills and intuition to the test, to value and date a host of intriguing items. They are looking for fun outgoing teams of two to apply! You must be 18 years of age and over. Please email contestants@hungrygapproductions.co.uk with your contact details. Hello I am interested in participating in your antique show! Humble housewife who loves antiques of all sorts!!!!!! are you still looking for people for the Antique show? would be interested to participate!